While Liar’s Poker was Micheal Lewis first book that I read, I became a fan for life with the New New Thing, the book that broke the story of the boat that built Netscape. The Big Short, Blindside, Money ball and Boomerang further cemented that impression. There are a few authors that I buy in hardcover, Mr. Lewis being one of them, John LeCarre being the other. Everyone else is bucketed for paperback purchases. Flash boys in Lewis’s own words is a simple detective story. What happens when you push the execute button on your equity trade using whichever trading engine you use to trade equities? Why, when there is a clear market available in a given security are you unable to buy at the midpoint or even at the offer price? With a team made up of an unlikely investigation team comprised of “RBC nice” equity traders the book traces the link between disappearing midpoints, the fragmentation of equity trading exchanges and High Frequency Trading (HFT) trading firms. High Frequency Trading has been the one topic that anyone linked to equity trading was very interested in but no one ever talked about. While you could get your heart’s fill on risk, options, exchanges and trading strategies, HFT was the invisible topic, assumed to be so sophisticated and advance that it was beyond the reach of understanding of a typical finance professional. A search on Quora and Linkedin, prior to the book simply led to many a questions posed, but always left unanswered. After the furor caused by the book, it appears that there were a few prior works but none as successful or as visible as Lewis. 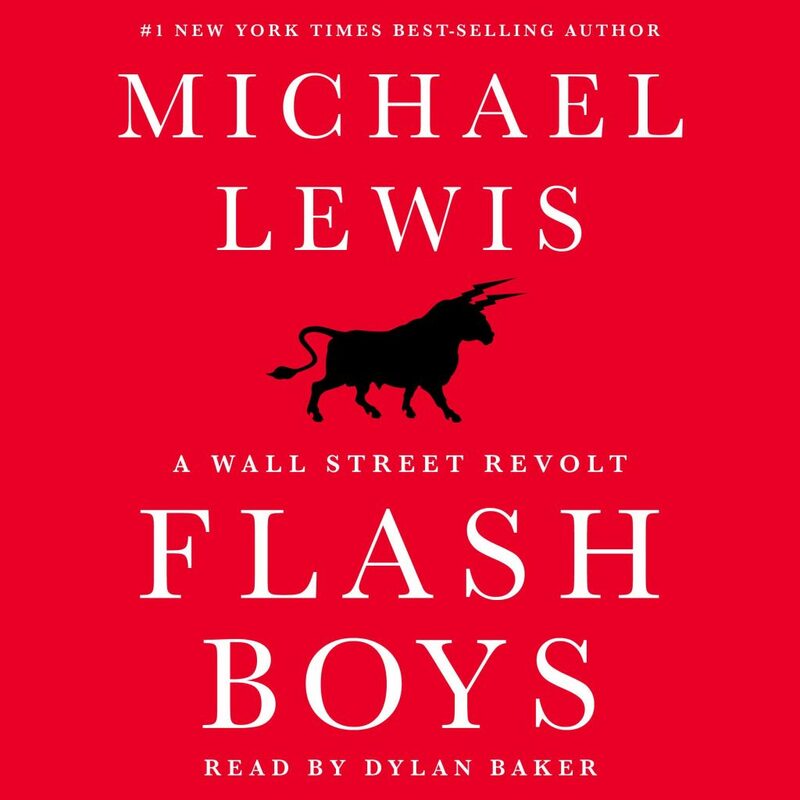 Like all Lewis books, the real story in Flash boys is about IEX, the investor exchange created by the team of investigators featured in the book. While the wrongs of the HFT industry serve as the back story, the birth of the new exchange, is where the book comes together. In the New New Thing, it was the toys that Jim Clark bought; in The Big Short it was the short trades on CDS from unimaginable profits; in Boomerang the unsustainable burden of employee benefits in inner cities, in Flash boys it’s the launch of IEX, a fair market built from the ground up by a mixed bag of traders, system administrators, product managers and network speed specialists. The book ends the coverage of IEX on December 19th, 2013 when Goldman Sachs opens up the order flow spigots for a few seconds towards the end of the day to test the new exchange. A quick look at the IEX Exchange Statistics this morning (April 27th, 2014) shows that the exchange is doing well. In Flash boys Lewis mentions the 50 million daily shares traded volume threshold that the exchange needs to cross in order to survive beyond the first year. IEX daily average volume in January was 18.18 million, in Feb 29.4 million, in March 37.78 million. The April 2014 to date stand alone daily average figure stands at 54.48 million with an all time “matched volume” high of 75.8 million shares traded on April 15 and 5 days of over 60 million plus traded shares (all figures sourced from IEX website). This Monday, on April 28th, 2014, IEX will also cross an important milestone. Within 7th month of launch, IEX will cross a billion traded share volume in a given month, with 2 trading days to spare. An impressive achievement indeed for a young team especially one that faces an equally impressive amount of resistance from big boys of the industry at large. IEX has however reserved the best chuckle for last. Take a look at the IEX Board of Directors and you would understand (if you are a Lewis fan), why there is a reason for you to laugh out loud. Yet, reactions to the success of the Exchange are still negative. Dave Nadig over at ETF.com still believes that the exchange doesn’t matter. His article raises some interesting points. IEX still relies on NBBO, the smaller individual retail investors are not prey for HFT predators, the IEX lag restricts it from contributing to price improvements on the NBBO and that from a liquidity point of view the exchange is still trading only twenty million shares a day. However Dave fails to mention the IEX March and April matched volumes (and the month on month percentage growth that it represents) and the fact that the big fund managers who do get affected by HFT practices essentially manage money for small retail clients. Which is Lewis’ original argument. It may be 10 cents a share, but it is our 10 cents and it was taken without our knowledge and consent. The response to the book has been interesting to say the least. To understand the sheer negativity of the response you need to understand how many groups this Lewis manages to piss off with just one book. Here is a shorter version of the book in terms of the individuals, institutions and industries it puts down. 1. High Frequency Trading takes money out of the pocket of ordinary investors by gauging their intent through smaller orders (pings) and then electronically racing ahead of them on other exchanges. It’s a combination of electronic front running, need for speed and mission impossible all put together in a single movie. Despite how farfetched that plot sounds, it is very believable and certainly true. 2. The exchanges are willing counterparties to this scam. They make it happen with their free structure, with co-location of servers and with sharing order flow information and data feeds at faster speeds with HFT firms. Oh and there is an upcoming new exchange that solves most of the problems created by these guys by finally offering a truly fair market place for investors. 3. The regulators condone this behavior because they misunderstand HFT firms’ true contribution to market liquidity. There is also an issue with unintended consequences and side effects of market regulation and the ability of the market to figure out loopholes and gaps in the best intended of regulations. Finally there is the comment about the cozy post employment relationship between ex regulators and the HFT industry and the complete write off of most regulator efforts to tame abuses in the industry over the last hundred years. 4. The big boys are clueless in terms of figuring out what is really happening within their own firms as well as with their trades. 5. Dark pools. The less said about these guys the better. While the founding thesis behind dark pools may have been better pricing and liquidity. The reality is the complete opposite. 6. And if that list fails to impress you here is a news item that certainly merits an ouch. Silver Lake backed HFT player Virtu pulls IPO. A typical review by a member of the Lewis mildly put off list of 6 above starts off with “I had been a true Lewis fan for decades but this book has really put me off. Lewis has lost it. He has gone out and …. (substitute your own words) part of the financial world and has shown his complete and total lack of understanding of the business”. Online forums are filled with outrage from the HFT industry. Quora, a great knowledge sharing platform has quite a few responses and counter arguments to the book. Most however are by anonymous authors repeatedly professing no real or hidden links to the HFT industry. Their negativity and absence of any real substance in their response belies that claim. Micheal Dorf at Cornell writes a great balanced response to this group of criticism. He however takes issue with Lewis’s writeoff of regulatory response. Dorf is certainly correct in voicing the opinion that our best hope is better regulation. But as an industry insider Lewis and (many others) are correct to assume otherwise. Their argument is simple. In an age where regulators have lost the battle to attract smarter talent and can neither match nor counter the financial incentives offered by the industry, the battle for enforcing better regulation is already lost. Flash boys would have been a great book if it had stopped here. But the book has three additional side stories. The painful recounting of Sergey Aleynikov prosecution on Goldman’s behest, the real value of shaving off a millisecond on a order routing network and the story of Spread networks and finally two partners at Goldman making the right call by taking a bet on IEX. While the Sergey account casts Goldman as the real villain, the IEX bet finally provides relief to Goldman alums wondering how the firm had managed to get in the middle of so much bad publicity over the last few years. Should you buy and read the book? It doesn’t matter where you stand on the debate on HFT, the book is an interesting read and like all Lewis works a read it in one sitting affair. It also has the list of the clean broker dealers who do play it fair on IEX. And yes, in case you were wondering it does make a strong case for equating HFT with a sophisticated form of electronic front running condoned by major players in the financial markets. A claim that to-date has not been effectively rebutted by the HFT industry. Lewis makes it official. The markets are rigged.